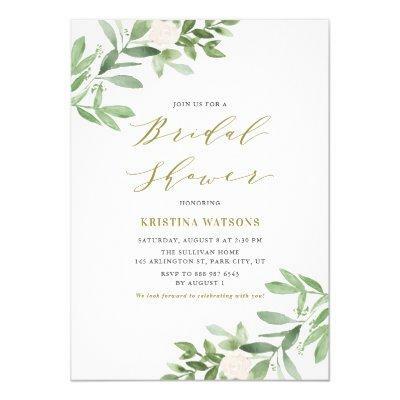 Watercolor Greenery and White Flowers Bridal Shower Invitation | Invite family and friends to your bridal shower with this customizable invitation. It features watercolor illustrations and pattern of foliage and white flowers. This floral invitation is perfect for spring and garden bridal showers.